The Friendship Centers has long been a leader in developing innovative solutions and approaches to the challenges and demands of an ever-growing older adult population. In fact, our region here in Southwest Florida is the dress rehearsal for the rest of the country. With the blessing of longer lives, we view this as our opportunity for ingenuity – social and technological. We are looking at things like work, housing, healthcare, caregiving and social engagement to lend our voices as public policy is restructured. Ageism is just another form of discrimination created by negative stereotypes. We are also here to be the voice of those who are silent or ignored as they age, making sure their contributions throughout a lifetime are not forgotten but instead, respected and honored. The Friendship Centers wants to lead by demonstrating that we are all aging, and in doing so we build wisdom, skills and insights to power up the communities around us. Thriving throughout the journey of aging is a question of how well-equipped our communities are to tap into all that momentum, engaging everyone in the process – no matter their age. Promoting health, dignity and quality of life throughout the journey of aging – it’s more than just some words. It’s our Mission. Erin McLeod joined the Friendship Centers in 2004 as director of communications. She became chief operating officer in 2006, Senior VP in 2012 and President & CEO in January 2016. 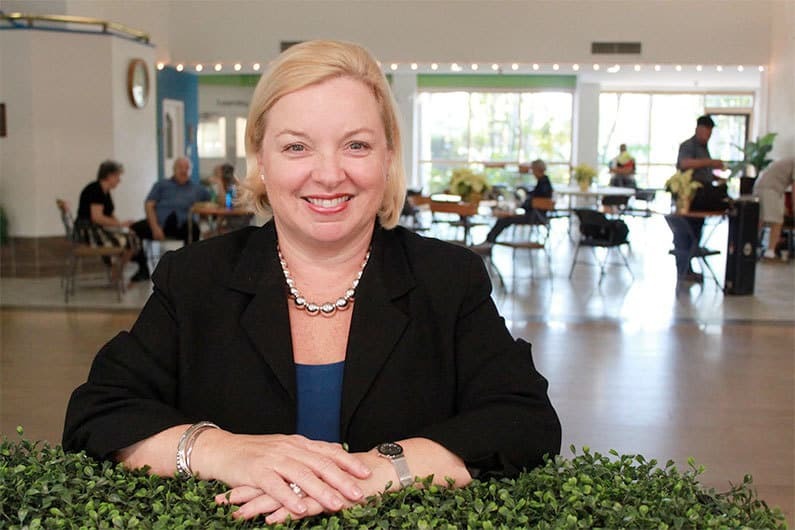 The recipient of a bachelor’s degree from the University of Florida, she has broad experience in consulting, healthcare, hospitality, public speaking and the nonprofit arena. McLeod currently serves as a trustee on the Florida Council on Aging board, as a board member of the Southwest Florida Planned Giving Council and on the Advisory Boards of Visit Sarasota and the Junior League of Sarasota County. Erin McLeod can be reached at emcleod@friendshipcenters.org.